The long separation of health and International Relations, as distinct academic fields and policy arenas, has now dramatically changed. Health, concerned with the body, mind and spirit, has traditionally focused on disease and infirmity, whilst International Relations has been dominated by concerns of war, peace and security. Since the 1990s, however, the two fields have increasingly overlapped. How can we explain this shift and what are the implications for the future development of both fields? 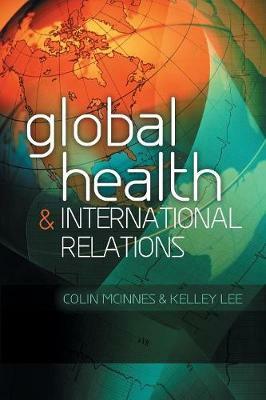 Colin McInnes and Kelley Lee examine four key intersections between health and International Relations today - foreign policy and health diplomacy, health and the global political economy, global health governance and global health security. The explosion of interest in these subjects has, in large part, been due to "real world" concerns - disease outbreaks, antibiotic resistance, counterfeit drugs and other risks to human health amid the spread of globalisation. Yet the authors contend that it is also important to understand how global health has been socially constructed, shaped in theory and practice by particular interests and normative frameworks. This groundbreaking book encourages readers to step back from problem-solving to ask how global health is being problematized in the first place, why certain agendas and issue areas are prioritised, and what determines the potential solutions put forth to address them? The palpable struggle to better understand the health risks facing a globalized world, and to strengthen collective action to deal with them effectively, begins - they argue - with a more reflexive and critical approach to this rapidly emerging subject.